A recent report by Keynote has made a prediction that will make all involved in the CCTV industry here in the UK to sit up and take notice. 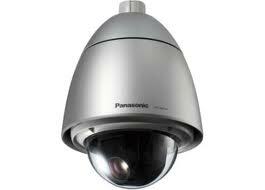 The forecast predicts that that the UK CCTV industry will see rise in value of 30.1% between 2012 and 2016. They go on to say that this increase in the CCTV market place will become more apparent from 2013 onwards. This is very much in line with predictions from the HDcctv alliance(figures shown above) and the recent IMS research. Keynote have based their findings on a predicted economic recovery in 2012 accelerating from 2013. This will encourage construction and building projects as well as investment from current CCTV users into their existing systems. Although the UK CCTV market is currently predominantly analog at present, a strong shift from analog to digital is predicted. With HD-SDI technology standardized and driven forward by the HDcctv alliance and IP HD marketed by the likes of Panasonic and Avigilon all competing for the market share, the plentiful choice for end users will mean a huge rise in HD CCTV sales over the next 5 years. The Olympics will also have a strong bearing on HD CCTV installations during 2012. Many companies are yet to place orders for CCTV systems that will be required to combat the risks of terrorism, vandalism and theft that will come hand in hand with the huge influx of people into the UK during this Olympic year. CCTV has recently had its reputation enhanced. Further to the London riots, AVIGILON cameras in particular were responsible for over 80% of convictions. The quality of the video that was retrieved was so good it has totally changed public perception of CCTV per-say especially HD CCTV. An indictment of the quality that Avigilon offer and to the flexibility of the Avigilon range of HD CCTV. In truth it has done us all a favour in the long term. It has made the public more aware of HD and as a result end users will start to seek HD CCTV solutions and thus enhance the increase in HD CCTV sales we are all expecting. So in summary we have a bright future for HD CCTV sales and this will be the driving force for security installers here in the UK and both HD SDI and IP solutions can bring HD to the mass market. HDcctv regulation.Can the industry control the data? HDcctv $30M investment in the future. HD CCTV is the way but are customers listening. Who is looking beyond IP surveillance? Avigilon to release quarterly figures. 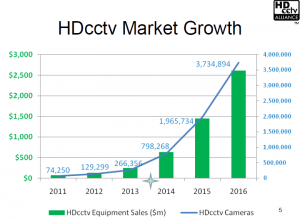 IPCCTV v HDCCTV who will take the UK market share? Avigilon ... how have they achieved such stunning growth during a worldwide recession? HDCCTV is the future ..but why? HD CCTV why we would upgrade. 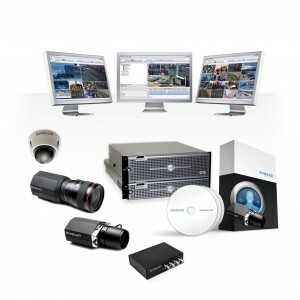 Why buy IP CCTV Cameras? This entry was posted on Wednesday, January 25th, 2012 at 01:10	and is filed under HDCCTV. You can follow any responses to this entry through the RSS 2.0 feed. Both comments and pings are currently closed.